Inspired in part by Kirsty’s childhood memories and her late father, The House by the Loch is a story about the bonds between generations, the need to belong and the devastating consequences of long-hidden family secrets that refuse to lie buried in the past…. prison for Jean and neither a young family, nor Walter’s care, can seem to save her. will turn all their lives upside down on one fateful weekend. 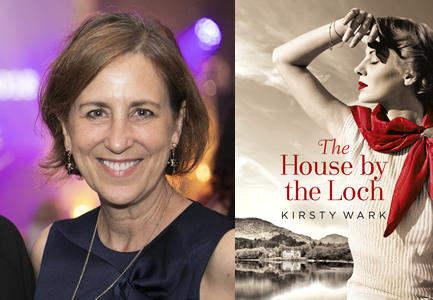 After the success of her debut novel The Legacy of Elizabeth Pringle, we’re thrilled to welcome Kirsty Wark to Oswestry during Independent Bookshop Week. Don’t miss this chance to see and meet her!